The easiest 1000 AA Miles you will ever make! Every once in a while a promotion comes up that is so easy it is crazy! How about a completely free 1000 American miles for 2 minutes of your time? All you need for this promotion is a free American Airlines AAdvantage account. No credit cards, no purchase, no muss, no fuss! This promotion is available from now to June 12, 2015 but do it right now so you don’t forget! Click here to get easy free miles! Are these the easiest miles you have ever earned? Let us know in the comments! 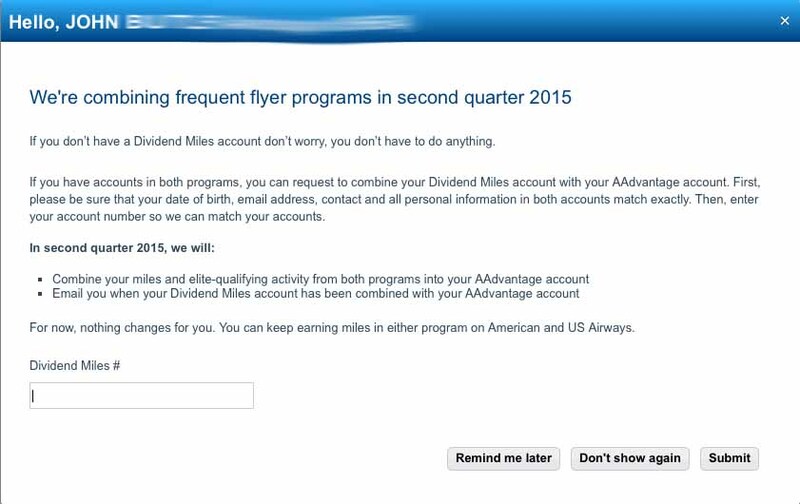 Author John ButlerPosted on May 12, 2015 May 12, 2015 Categories American Airlines AAdvantage2 Comments on The easiest 1000 AA Miles you will ever make! US Airways Bumps Bonus to 50,000! The US Airways® Premier World MasterCard® has always been one of our favorites for people to get started and it just got even better! They have just bumped the bonus from 40,000 miles with your first purchase to 50,000 with your first purchase. 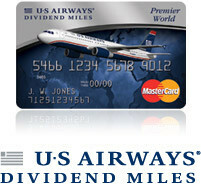 This means you can get this card, spend $1 on gas and then earn enough for two round trip flights anywhere in the US! You do have to pay the $89 annual fee with this offer, but I would trade $89 for two round trip flights every day of the week. This is really as easy as it comes for bonus miles. Apply for the card, spend $1, get 50,000 miles! Some other ways you could use these miles are for a ticket to Hawaii (40K miles), Off Peak to Europe in the winter (30K miles) or you could save up the miles and add some to it and get Business Class to Asia via Europe for 110K miles like I did when I went to Germany and China! How you spend the miles is up to you, but the important thing is getting them while you can! 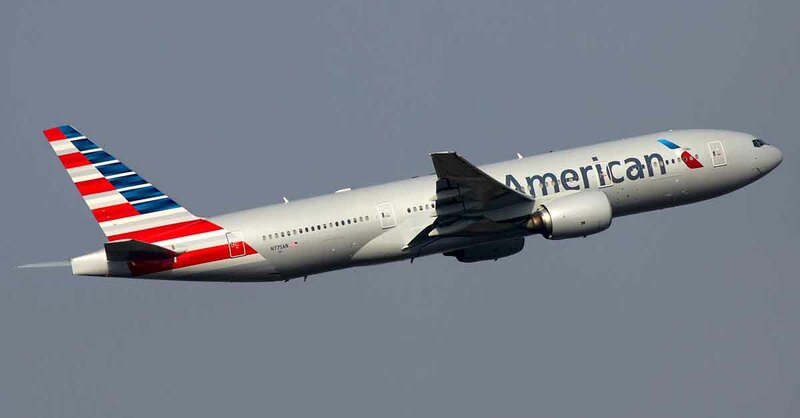 As you may know US Airways and American Airlines have partially merged and this card will probably be going away once the merger is completed (or at least rebranded to an AA card). Some other benefits of this card are first checked bag free on US Airways operated flights, priority boarding, and one companion certificate per year. If this sounds like something you are interested in (and it should) then click here to apply now. Author John ButlerPosted on December 11, 2014 December 11, 2014 Categories American Airlines AAdvantage, Barclays US Airways Card, US AirwaysLeave a comment on US Airways Bumps Bonus to 50,000! Awesome Deal Alert! 2000 AA Miles plus up to 9 Miles/$ with AA Shopping! American Airlines Shopping is having two different promotions that when stacked add up to a massive points payday! If you are not familiar with how to make miles via online shopping read our Online Shopping for Miles primer first. 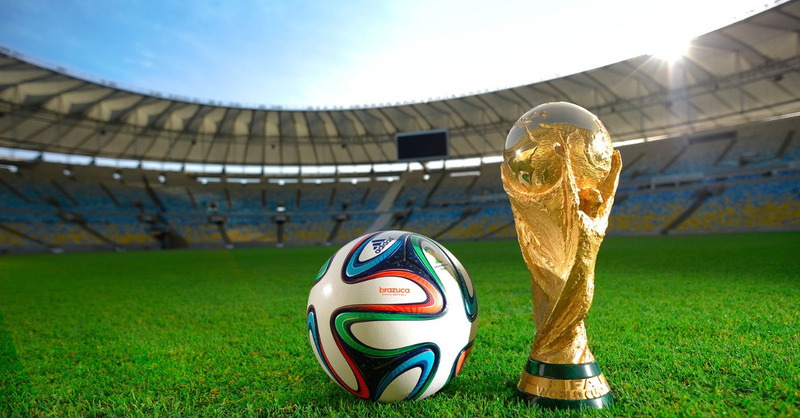 Author John ButlerPosted on October 9, 2014 October 11, 2014 Categories American Airlines AAdvantage, Online ShoppingLeave a comment on Awesome Deal Alert! 2000 AA Miles plus up to 9 Miles/$ with AA Shopping! 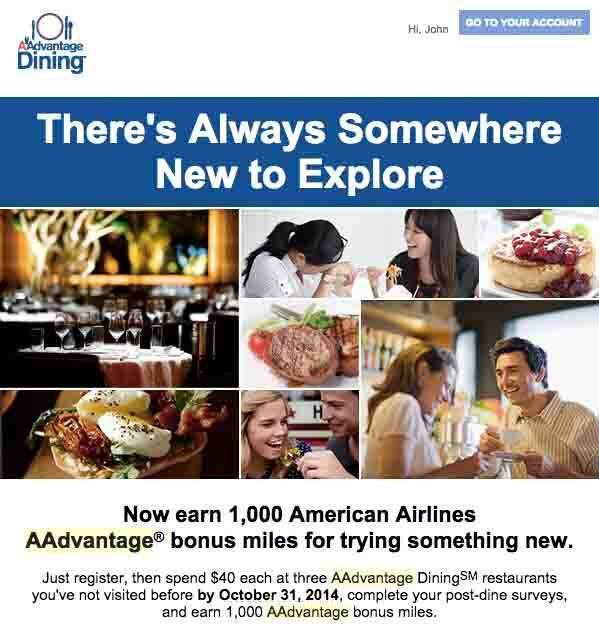 Grab an easy 1000 American miles by pigging out! The bonus requirements will vary but in this case for the 1000 mile existing customer bonus, you have to spend $40 at restaurants you have never tried before with this program. It is a great way to try someplace new and get miles at the same time! And in addition to the bonus you will also get 3-5 miles for every dollar that you spend! What a deal! Author John ButlerPosted on September 24, 2014 Categories American Airlines AAdvantage, No Credit? No Problem!Leave a comment on Grab an easy 1000 American miles by pigging out! This is another of our No Credit, No Problem series of articles which you can take advantage of with no special credit or debit card. If you aren’t familiar with online shopping portals and how they work then stop everything and check out our article on How to use Shopping Portals to make Mega Miles. We have literally made hundreds of thousands of miles with them in the past, so if you don’t know, you are missing out! From August 17-25, 2014, American Airlines Shopping Mall is having a promotion where if you spend $200 at any of the 1000+ stores listed on their site, then they will give you a bonus 1000 AA miles on top of whatever you get from the merchant (typically 1-25 miles per dollar).